The Commissioner for Health in Rivers, Dr Theophilus Odagme, has confirmed that three persons have died, while more than 200 others are currently under observation, following the outbreak of Lassa Fever in the state. Odagme made the disclosure in an interview with the News Agency of Nigeria (NAN) in Port Harcourt on Saturday. ​Rivers State Governor, Nyesom Wike has directed security agencies to arrest Biafra agitators in the State.A statement signed by Dr. Austin Tam-George, Commissioner for Information said it had come to the attention of the Rivers State government that some Biafran agitators had resorted to illegal processions, and had assaulted law abiding citizens and residents of the state. “Governor Nyesom Wike strongly condemns the acts of criminality perpetrated by Biafran agitators by whatever name, in the Oyigbo area of the state,” he said. Abuja – The Comptroller-General of Customs, Col. Hammed Ali (Rtd), has directed all officers and men to make full disclosure of their assets within 14 days to show transparency and compliance with the rule of law. This was contained in a statement signed by the service Public Relations Officer, Mr Wale Adeniyi, on Friday in Abuja. Speaking yesterday, January 15, in Lagos state at the Nigerian Institute of International Affairs (NIIA) on the occasion of the 50th anniversary of the assassination of the First Republic politician and minister of finance, Chief Festus Okotie-Eboh, Obasanjo described the January 15, 1966 coup as a monumental error.READ FULL NEWS…. 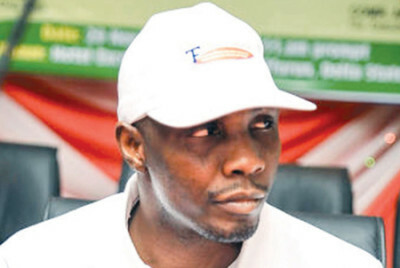 Daily Post reports that Tompolo stated in his communique that President Muhammadu Buhari will not know peace if the Niger Delta region knows no peace. Tompolo said this in reaction to allegations that he attacked oil installations in Warri area of Delta state. Governor Ayodele Fayose of Ekiti State, Weekend, advised President Muhammadu Buhari on his order for 18 Military Generals to be probed by the Economic and Financial Crimes Commission (EFCC) over alleged involvement in the $2.1 billion arms deal. his dictatorship in the All Progressive Congress (APC). University of Ibadan holds the position as the Best University in Nigeria. University of Jos (UNIJOS) has been named as one of the best among second generation Universities in the country. University of Jos was ranked the best after Ilorin, according to the 2015 ranking of the Nigerian Universities Commission (NUC). 2nd generation Universities are the 12 universities established between 1970 and 1985 to meet the increasing need for university education in Nigeria especially in the area of Science and Technology. NUC named the University of Ibadan in overall first position while Covenant University was rated as the best private University in Nigeria. Government Ekpemupolo’s face-off with the EFCC. Gujba Local Government Area of Yobe state. in a fierce fight that lasted for almost four hours. A military source said the attack was effectively repelled. “But we lost one soldier in the fight,” the source said . Nollywood actress, Dayo Amusa, who recently released her latest music video ‘Aiye Mi‘ featuring Oritsefemi, has announced plans to drop her first album before the end of 2016.
last quarter of the year’.